Wow! The U.S. economy suddenly looks a lot perkier in the third quarter, according to revised data released by the government on Friday. Gross domestic product -- the broadest measure of economic activity -- grew at a 4.1% annual pace in the third quarter, up from the 2.8% pace that was first reported in November. It was the fastest quarter for economic growth in two years, according to the Bureau of Economic Analysis. The government typically reports its GDP figures at least three times, and Friday's report is the final number for the third quarter. "With each of the revisions, we've been getting better data and it's showing there's some better traction with the consumer than we had initially expected," said Wells Fargo senior economist Sam Bullard. 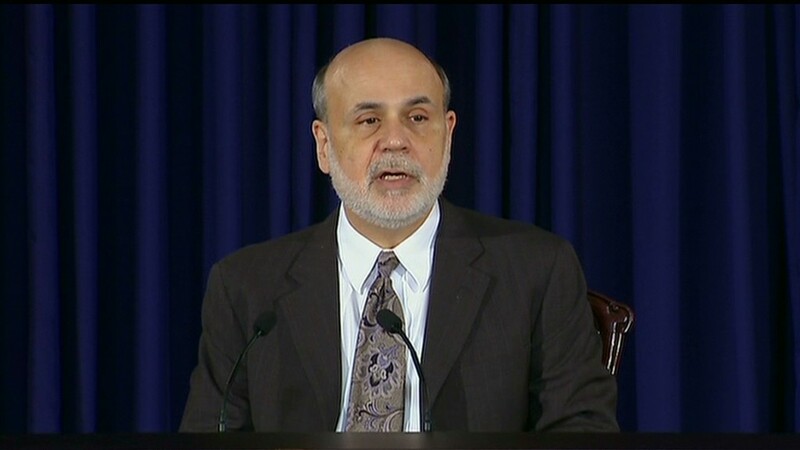 "There is more momentum in the economy than we originally thought." Larger increases in consumer spending as well as business investments in commercial real estate, industrial equipment and intellectual property like software were some of the main reasons why GDP was revised higher. This is encouraging news, especially after economists had largely written off the previous GDP revision for the third quarter because much of the growth came from businesses building up their inventories. When businesses stockpile goods, it can be a mixed signal. It could be a sign that companies expect demand will pick up in the future -- so they are stocking their shelves in advance. Or, it could be an indication that demand is weaker than expected, and goods are lingering on the shelves longer than planned as a result. Friday's report showed that larger inventories still accounted for about a third of the economic growth -- and that boost could be unsustainable. Looking ahead, economists expect fourth quarter GDP to look a bit weaker, as businesses draw down those inventories. Considering the economy also grew at a far slower rate in the first half of the year, growth will probably average between 2% and 3% for 2013 overall. While the economy is expected to slow in the fourth quarter, experts are more hopeful about 2014. 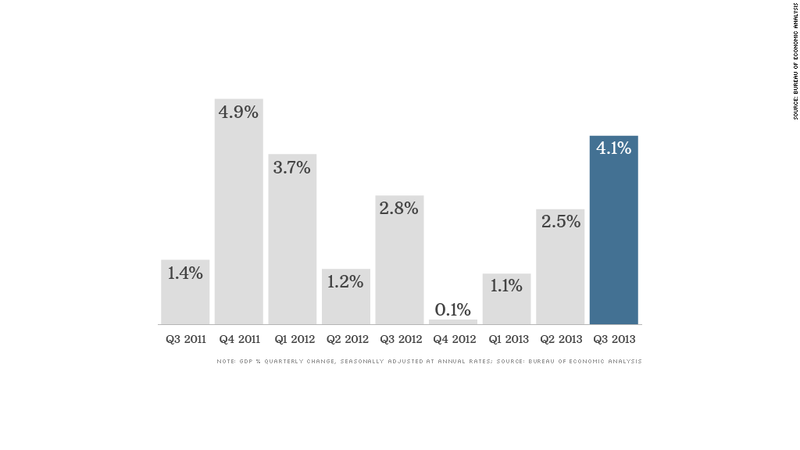 Economists at Jefferies & Co. expect the economy to grow 3.3% next year. That would be the biggest level of annual growth in ten years. They also expect the job market to finally replace all the private sector jobs lost in the recession. Things are also looking up for the Federal Reserve, which decided Wednesday to start slowing, or tapering, its stimulus program in light of better economic data. Friday's strong GDP report "vindicates the Fed's decision," said Sal Guatieri, senior economist with BMO Capital Markets. "It also suggests the economy is poised for stronger growth in the new year than the middling 2.0% pace of the past year, meaning the tapering process will continue," he said.